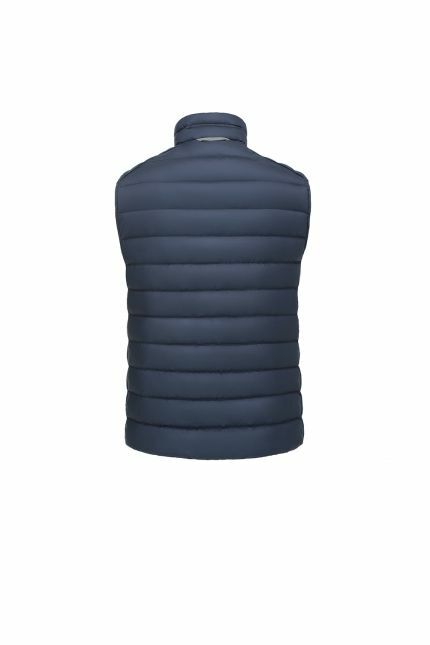 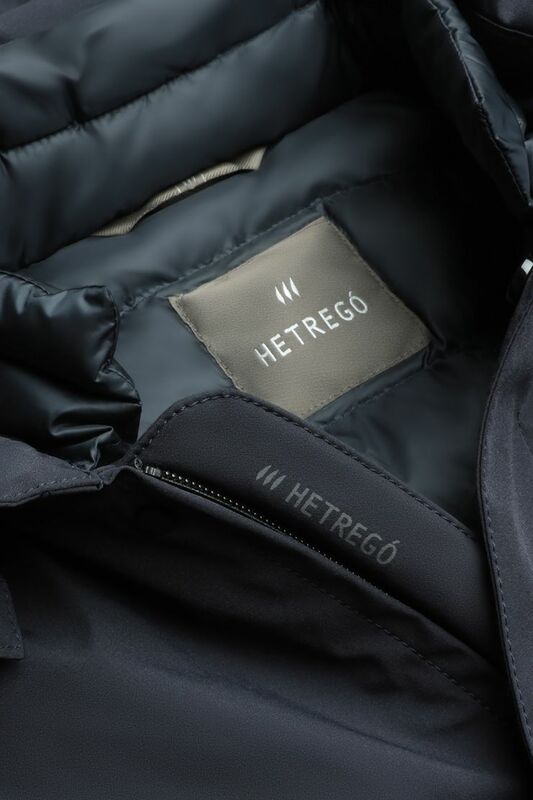 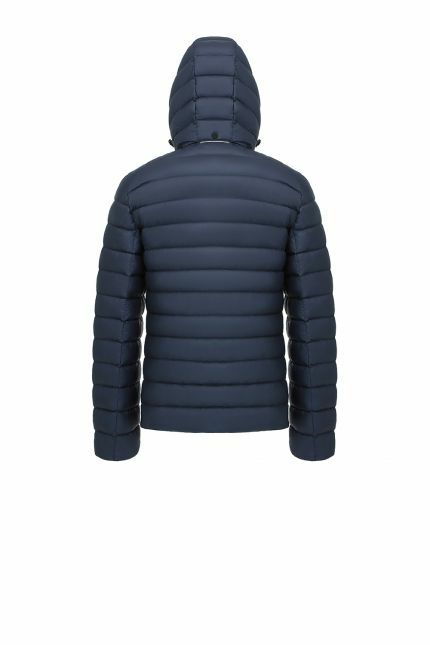 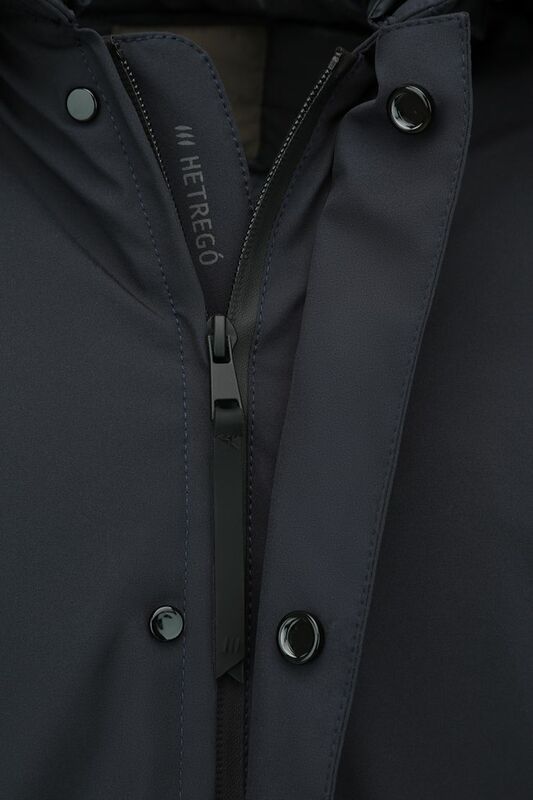 Hetregó Gamel midnight blue down coat is the perfect overcoat to wear over a suit or to be styled with jeans and sneakers. 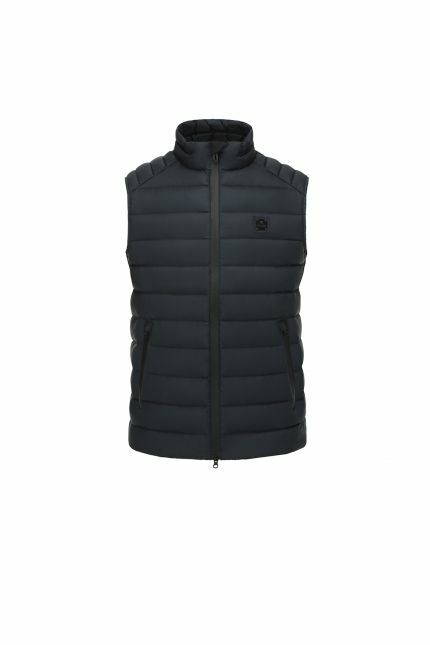 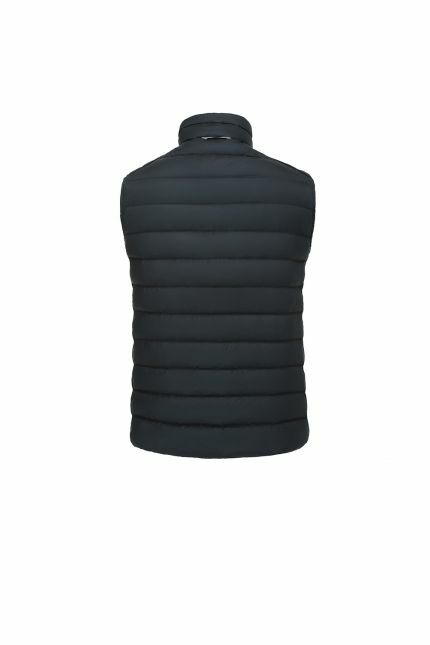 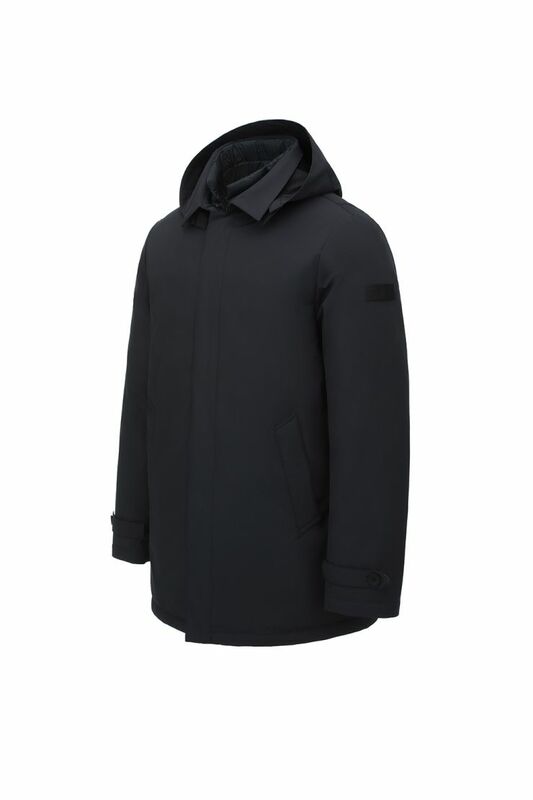 Ideal for winter season, it can be worn during rainy and windy days, as it is windproof and waterproof. This style features zipper and snaps front closure. 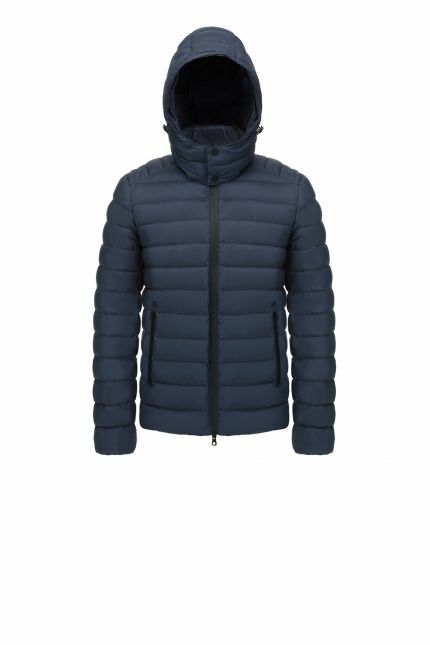 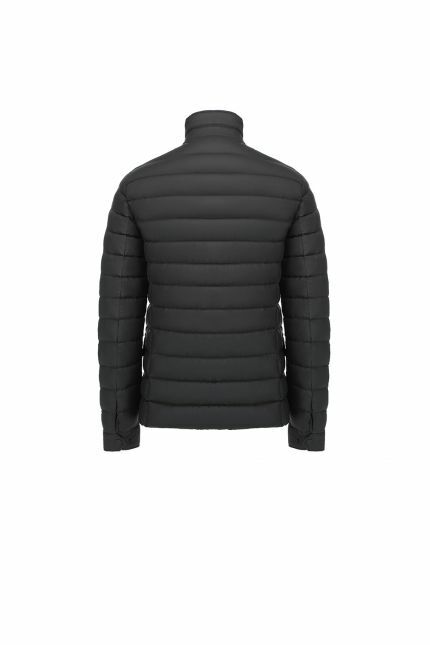 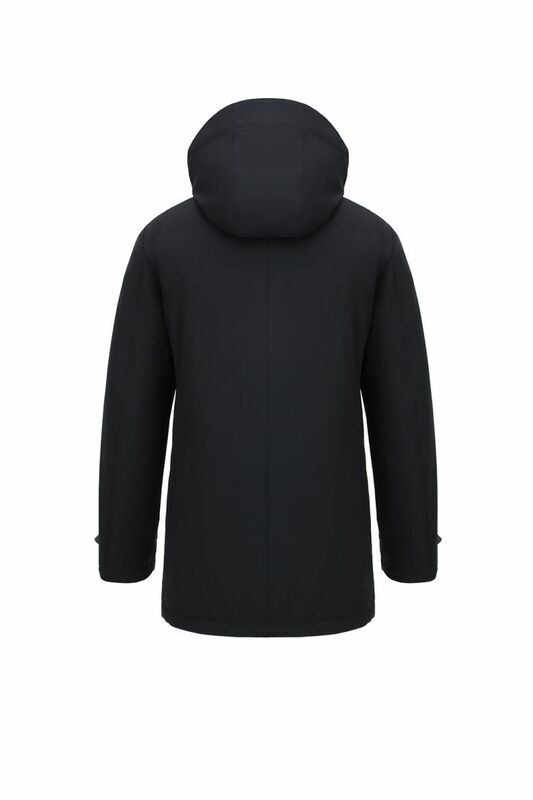 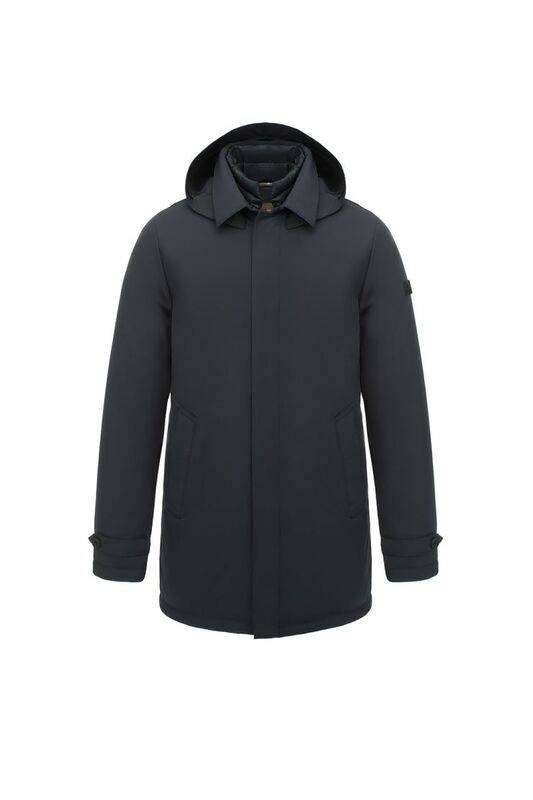 This metropolitan outerwear piece has a detachable hood that can be removed to make this coat more elegant. 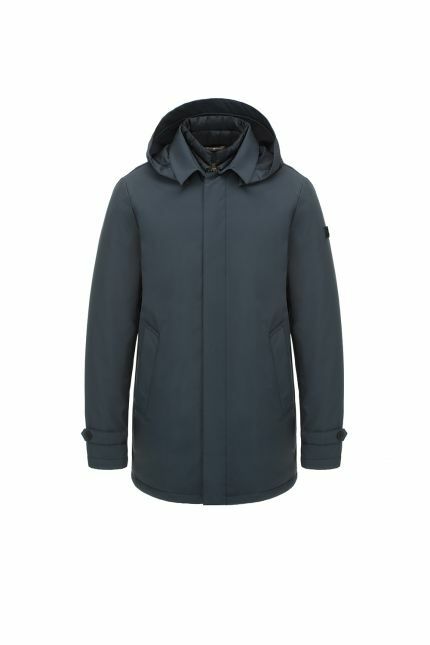 Padded in goose down, this item is detailed with bound pockets and reversible adjustable cuffs: from one side the cuff is grey as the outer material and from the other one is made of reflective tape.